photography | You can imagine where it goes from here. For about 4 months or so, I’ve had a browser tab open with the 100 Happy Days Challenge webpage. I wasn’t looking to do a photo a day again, but the concept of reminding yourself about what makes you happy is one that had been on my mind. This week the universe/great maker/nature told me its the week to start it. For those not familiar with the 100 Happy Days Challenge, in brief, the concept is to post a picture once a day of what made you happy that day. It doesn’t have to be artistic, it shouldn’t be about showing off, its just what made you happy. Yesterday was day 1. Follow along for the next 100 days on Instagram! When I finish, I’ll do another post talking about the experience. Jason, Lena, and I took a class with two Chicago Tribune photographers. It was a good walking tour of downtown near our office, but more valuable was the quick photo review the photographers did after the walk. Having professionals look and comment was very cool and having a large group of people taking shots in the exact same area was great as you could see how different people approached where we were and caught things I hadn’t thought of. I’ve come to the end of doing a photo a day in the year 2011 and I feel like I largely succeed in following my rules and meeting my goals. I did either cheat or just plain old fail on a few days, but for a voluntary program like this, a 2% failure rate (which is roughly what happened) is okay in my book. I think I’ve become a much much better photographer through the process. You clearly see a big change after April 9th when I took the class at the Chicago Photography Center. The other part of it was the constant practice and repetition of shooting and editing. I still have a long road to go in terms of skill and eye, but its been an amazing year of growth. Doing something every day is HARD, no matter what it is except necessary bodily functions. Its more of a time commitment than one would think. It’s very difficult to keep coming up with fresh ideas if you feel the need to have every day be a little bit different. There were days when I didn’t shoot anything all day and wanted to go to bed and ended up shooting stuff in the house. By the end of the year, I ran out stuff in the house. Also, I ended up doing accidental themes for days at a time because I couldn’t think of anything new. There are days when things don’t work out or you just shot all crap…but if you are gonna stay on the daily mission, you post it. I have a hard time asking people I don’t know if I can take their picture, or just taking a picture of unknown people. Hence, you got a lot of landscapes and buildings and whatnot. Per the Ansel Adams quote I used for a subject, I think I got over 12 good photographs. I’m not sure if they are significant to anyone but me, but I’m going to take that I had a good crop. I really enjoy photography, so I’ll still continue to shoot. Hey, I gotta learn to use the backdrops more. That said, the frequency of photo posts will be going down. I might just hide for a month and take no pictures. I need a break. As followers of my blog know, this year I’ve taken a little bit of a photography kick. This post takes some more photography without being a photo of the day, but also gets some of my geek on. This started as an e-mail exchange, but as I replied I thought it would make a good post. Your photos have smashingly rich EXIF metadata! And Flickr seems to respect it, too, amazingly. What do you use? I take it you add XMP tags because some of them look remarkably unlike standard EXIF tags. Is that right? I’m using Aperture on my Mac to handle my photos these days. I have 16,382 photos, so I was out-growing “directories of images,” so I moved to iPhoto, which gave me the added bonus of being able to sync photos to my iOS devices and AppleTV. I then outgrew iPhoto for keeping them straight once I got the Canon T2i and started doing 18 megapixel RAW images, iPhoto was just choking on editing them. 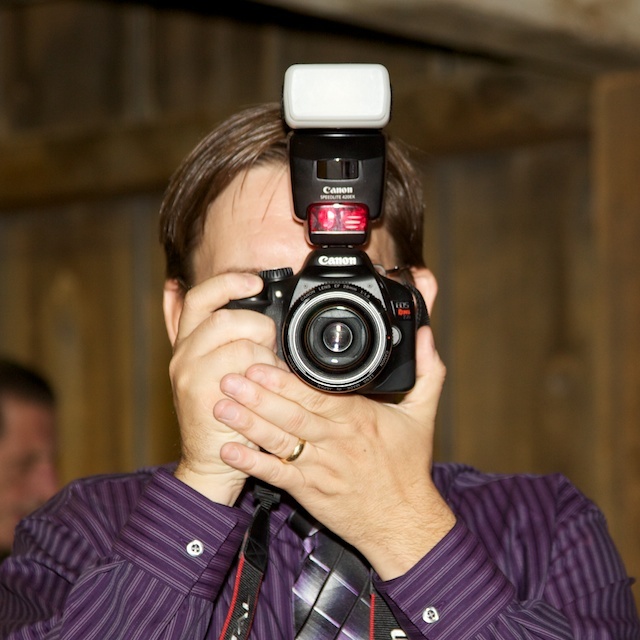 (And it looks like I’ve added 3,153 of those since I got the T2i according to a quick search I did.) In either case, I had to move to Aperture or Lightroom, and since there was a direct upgrade path to Aperture from iPhoto, and I’m drinking Cupertino Kool-aid these days, Aperture was an easy choice. 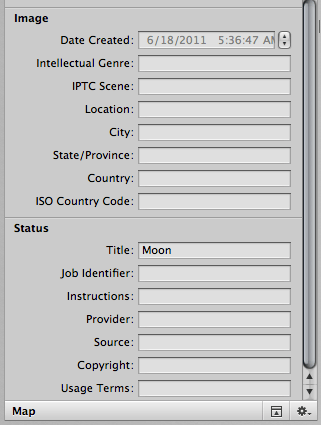 So, the answer on richer metadata is that I’m filling out the IPTC set for my personal information. It looks like some of the standard metadata like caption is also tossed in there. XMP is a super-set of IPTC (due to some collaboration) and looks like that’s how it ends up being shared when I expose it. (Check out this about.com article that quickly overviews EXIF, IPTC, and XMP and its relationships.) Aperture also directly is uploading into flickr for me, so it might be using some other stuff in the flickr API to fill it in. 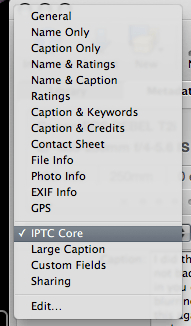 The following images are screenshots of what Aperture lets me fill in when I select the “IPTC Core” metadata. 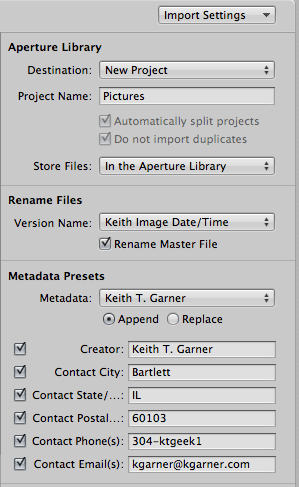 The next image shows the large amount of metadata subsets that Aperture will expose to me. Most of those screens have a few pieces of redundant data that can be found on the other, but each tab has a few unique things to fill in. One of the things you can do on Aperture is have some automatic actions performed at import time. The next image is what I’ve got automatically done when I import photos. I mostly add the IPTC bits, but I also rename the photos on import to the YYYY-MM-DD_HH:MM:SS that I’ve been using since I got a digital camera in ’97. That also becomes the default title, but I generally override that in images I share, or at least I try to. Once I discovered that some of that stuff was exposed in flickr, I started filling in photos I KNEW I was gonna share with as much data as I’d ever used or added to the flickr experience.